Thank you for sending your photos. Have fun! This entry was posted in Events, Events 2014-2015 on October 31, 2014 by jtibbits2013. This entry was posted in Events, Events 2014-2015 on October 17, 2014 by jtibbits2013. We had a beautiful Harvest Mass to thank God for all he gives to us. 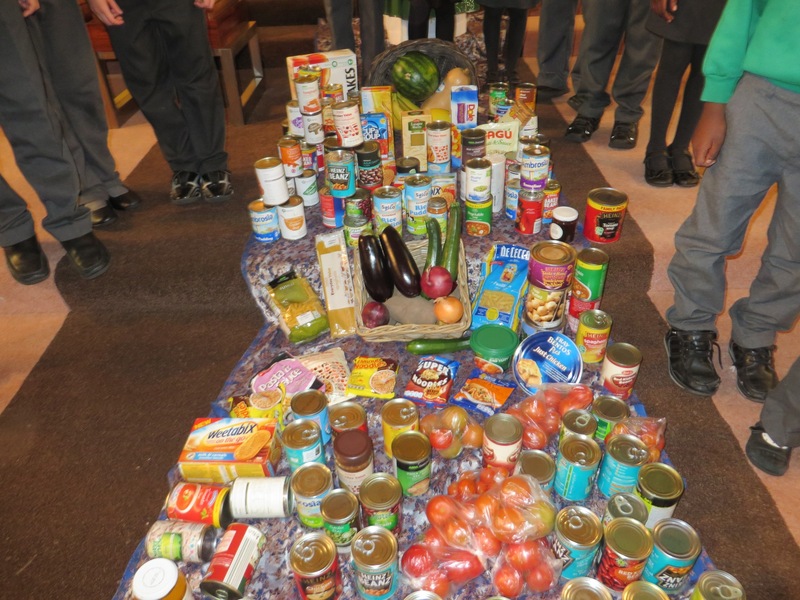 It reminded us to share what we have so that everyone can have enough to eat. We joined in CAFOD’s Silly Big Share, wearing something silly to show just how silly it is that there is enough food in the world but we waste so much that many people have to go hungry. The children wanted to do something about it so we made food mountains of rice, fish and sugar. 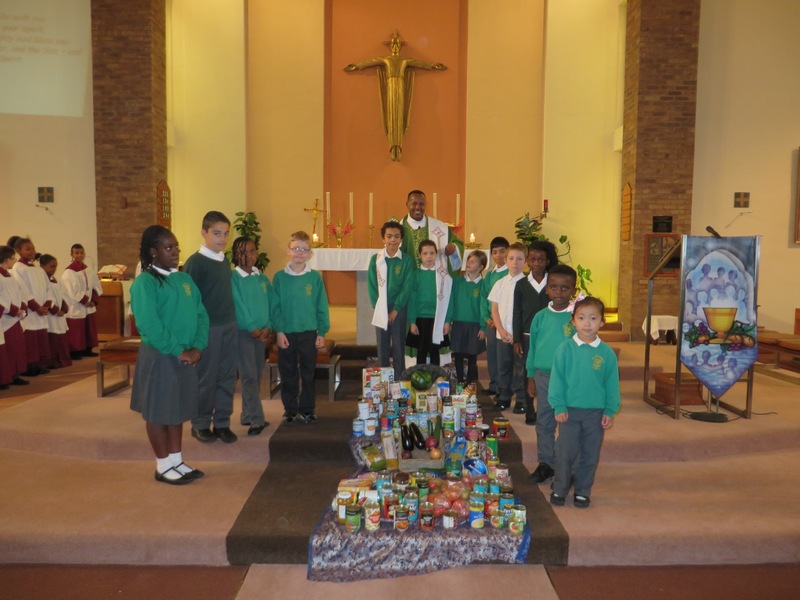 All the food was given to the church and to our local food bank. This entry was posted in Catholic Life, Events, Events 2014-2015 on October 3, 2014 by jtibbits2013.